CEBU CITY - His name may sound like a famous military leader in Medieval Spain, but Court Sheriff El Cid Caballes prefers to choose his battles wisely. "I have nothing against the mayor," he told ABS-CBN News. 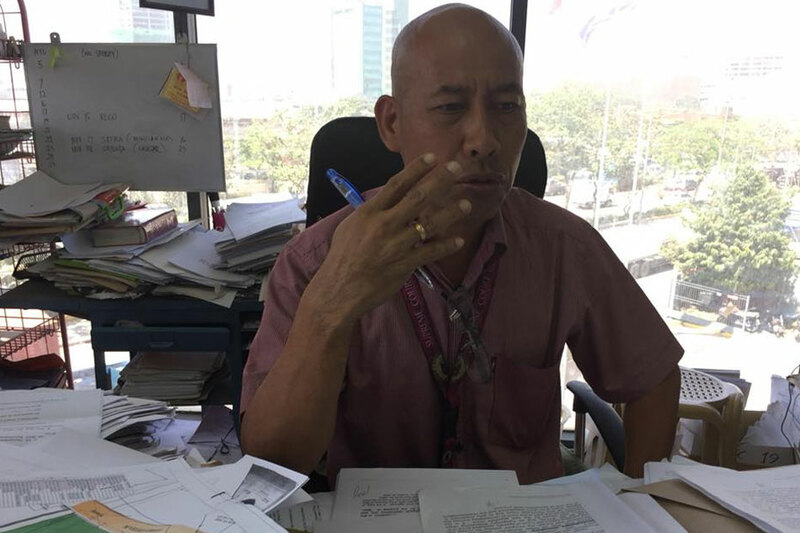 This was his response after Cebu City Mayor Tomas Osmeña confronted and scolded him as he tried to serve a court order for the demolition of the remaining structures in Barangay Capitol Site on Wednesday. Caballes believes that the mayor may have been "misinformed" on the real score about the court order. He said he holds no grudge and has no plans of filing a complaint against the city's local chief executive. The sheriff reiterated that his function is ministerial--that is to merely implement a court order. Barangay Captain Manuel Guanzon had reported to Osmeña that the order would also lead to dismantling the tents mounted by the affected residents at the demolition site. Caballes confirmed that the order includes the clearing of the entire lot claimed by the Quijada family. He said that some residents had started rebuilding their houses even if they had been told to relocate. In an interview with ABS-CBN News on Thursday, Mayor Osmeña defended himself by saying that he was just protecting the interest of his constituents and a portion of the lot which he believes is government-owned.